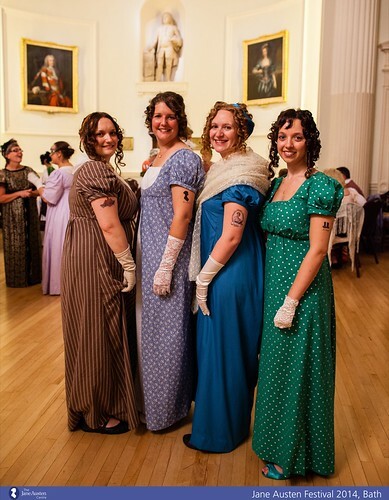 If you didn’t have your own costume, you could drop by the Jane Austen Centre and try on theirs! 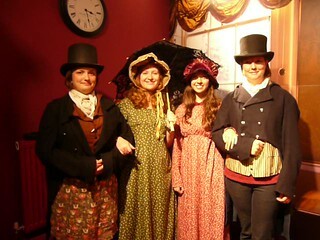 Next year, I’m definitely making a frock coat and wearing a top hat. 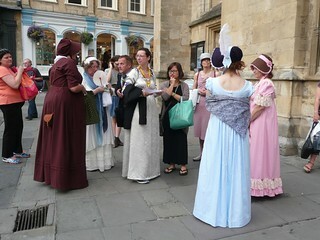 We saw a production of Northanger Abbey by Box Tale Soup which was fantastic. 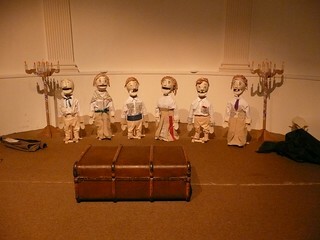 There were just two actors using all those puppets to recreate the story. It was pretty accurate, too, considering the play was only about 90 minutes. Then there was the ball. 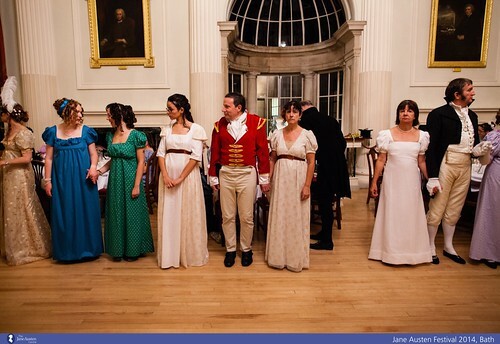 It wouldn’t be Jane Austen without a ball! 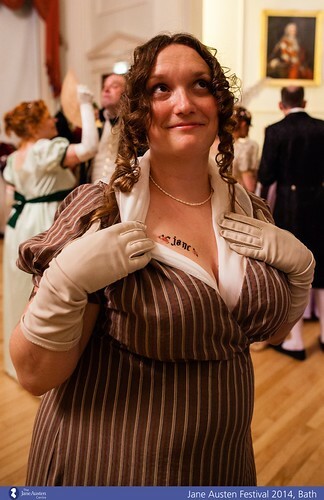 We decided to be super cool and wear Jane Austen temporary tattoos. 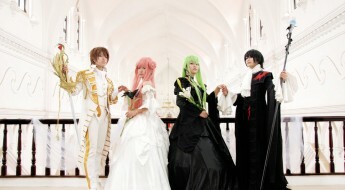 Next time, I’m thinking JA Biker Gang as our costume theme.